Alexanderrainer wrote: Wiping my eyes! Am I right or wrong: is that lovely baby Gnine running on 9mm? Possibly I was sleeping a bit too long here. Somebody may wake me up. 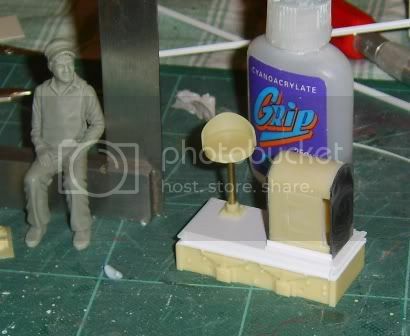 Heres a little taster of my latest project inspired by the Engineering Emporium Loco. Still plenty to do. Looking good. Is the poor driver about to get 'Gripped' on a certain part of his anatomy? 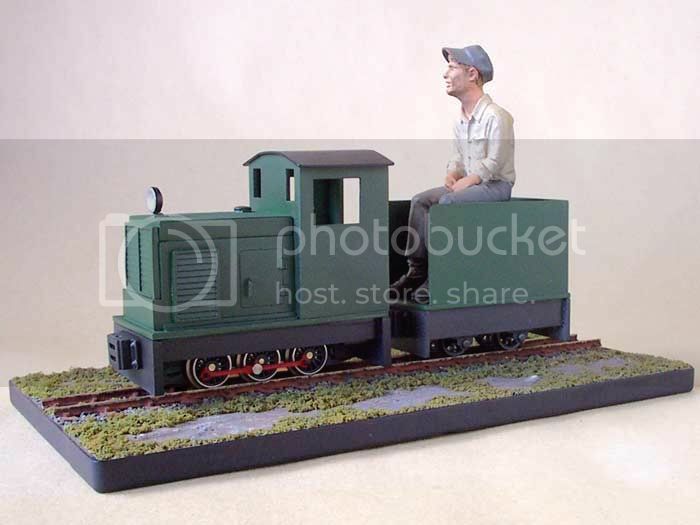 If you accept that the loco is battery-powered (a couple of car batteries) then Jon could hold a control box with a cable running to the loco - not so much a walk-around controller as a ride-around. 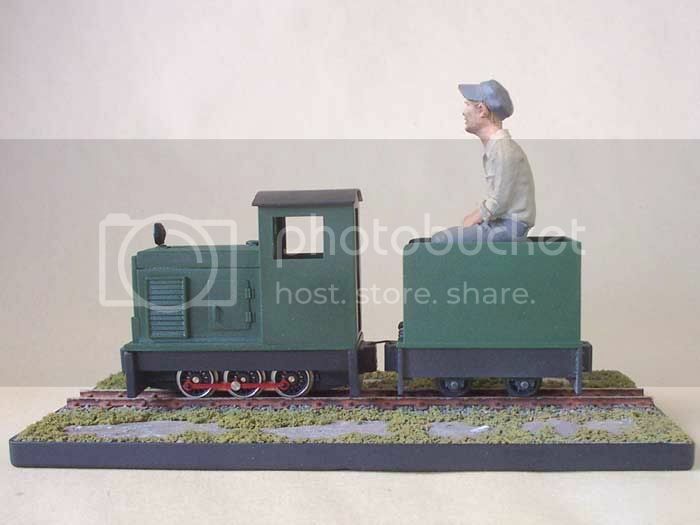 You could model a small box with a couple of knobs and switches for him to hold in his lap, and then a length of fine wire or even thread to the back of the loco. 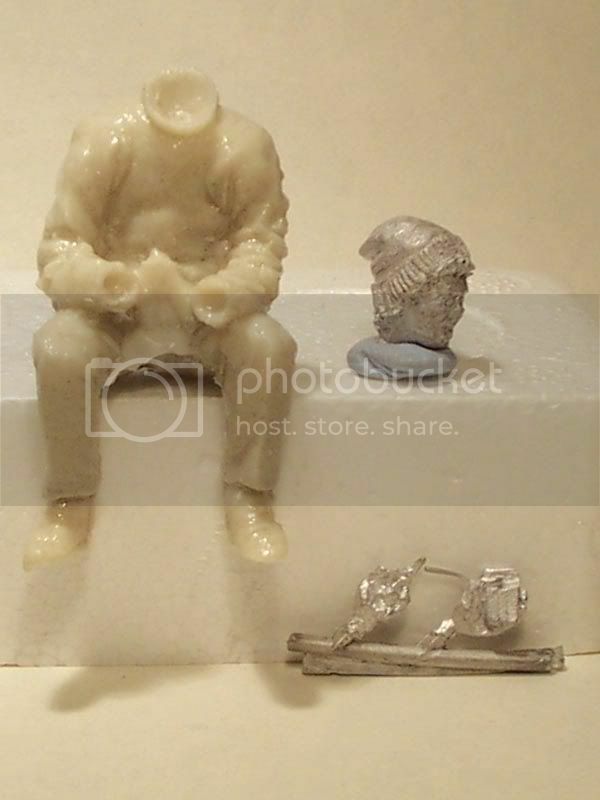 It probably doesnt look like it in my photo's of the model, but it would be a simple matter for Jon to lean forward and reach them. Fair point about the electrical control though, it is fairly common practice for a switch box on an umbilical cord to be held by the operator of electric loco's. I do have a figure holding a pack of cigarettes, which might just be used in this way . He needs a fair amount of work which is putting me off a bit at the moment. You should just about be able to make out the cigarett pack in his hand. I gnew smoking was bad for you but that guy is really ILL! Have a look that the Echills locos. 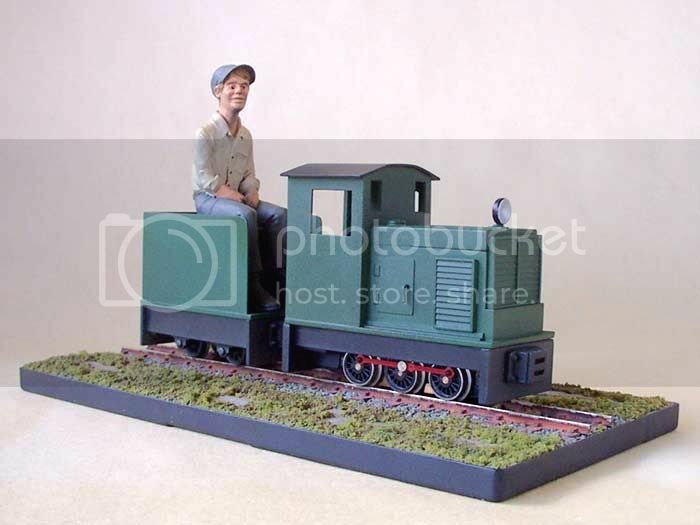 Great comparision of a 7 1/4 scale Garrat beside a narrow gauge style electric loco. DCRfan wrote: Have a look that the Echills locos. Great comparision of a 7 1/4 scale Garrat beside a narrow gauge style electric loco. 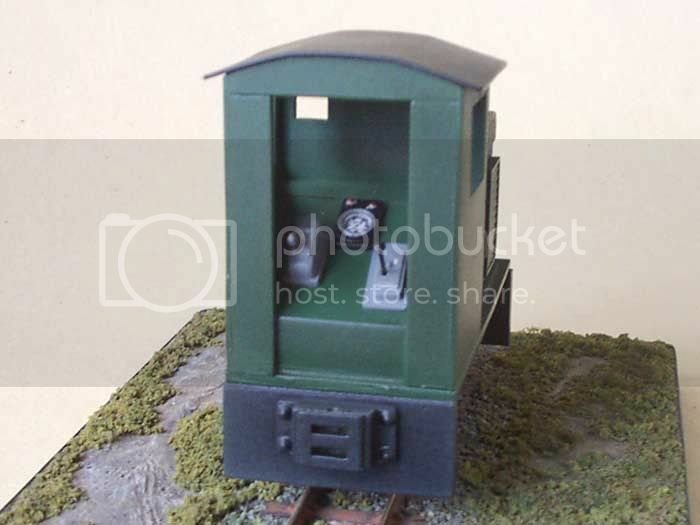 That photo,to me,shows the difference between miniature and narrow gauge. The loco is a miniature whilst the wagons,being maintenance,are narrow gauge.As is Titch. She's a small full size loco,not a model of a full size loco. Catweasel wrote: That photo,to me,shows the difference between miniature and narrow gauge. The loco is a miniature whilst the wagons,being maintenance,are narrow gauge.As is Titch. She's a small full size loco,not a model of a full size loco. Get me the can opener! There is a tin of worms around here somewhere! Hmm... To me that bogie loco is not a true 'miniature'. 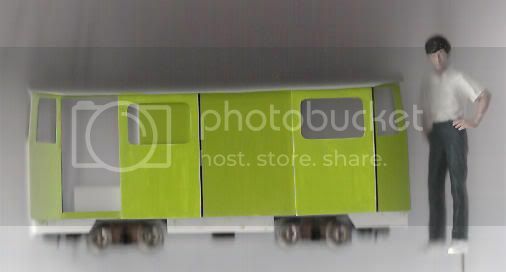 It is fully enclosed, twin cabbed, built way over 'scale' loading gauge and is clearly a case of a loco being built to the maximum potential of the gauge. Ok you could go higher but it might create stability problems. I'm with your worms. Ride in not on, nothing scale or minature about it, it just small. This is my model of it started some time ago captured using 'scannercam'. There's a good selection in 1:25 scale, which is gnear enough.